Beautiful curly hair starts from within. Try this curl bowl and reap the benefits! Healthy curly hair is a result of the right amount of fat, protein, greens and carbs. Today’s recipe is a curl bowl, vitamin and nutrient rich. 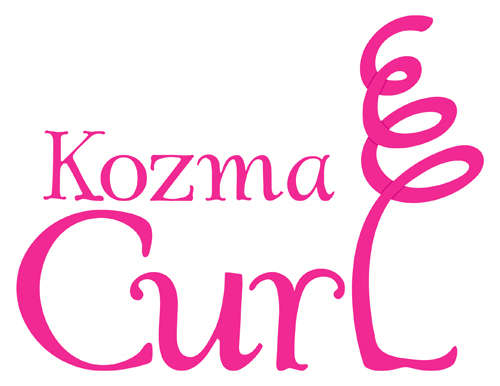 Nourish your curls with some yummy love! 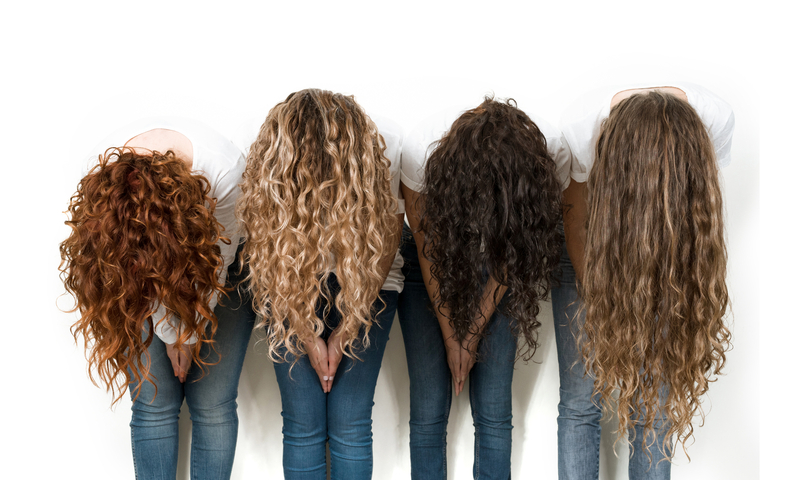 Want to grow healthy curly hair? Follow me! Let’s take a walk into the kitchen. Today’s recipe is nutrient rich. This recipe will help grow and strengthen your curly hair. 1 cup lettuce, spinach and cilantro, mixed, to provide our green base. 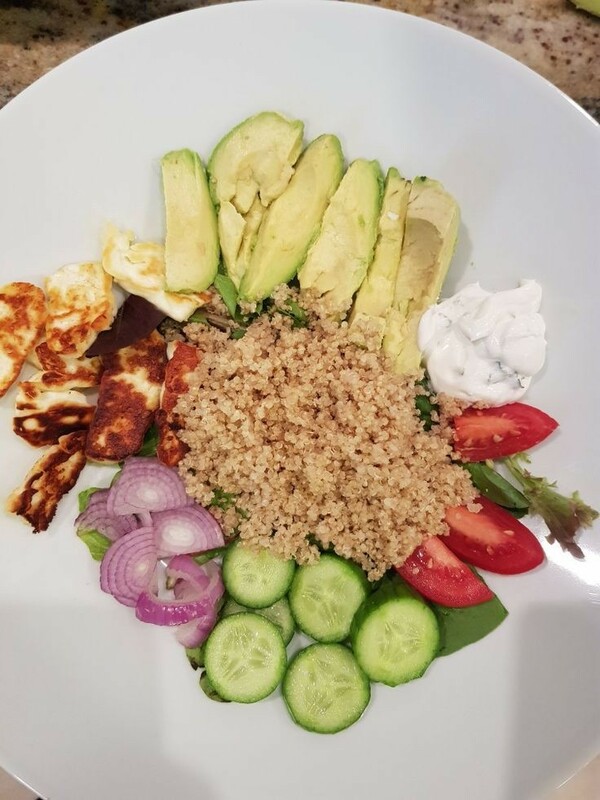 What could be better than sitting down to a home-made lunch, knowing not only will it help you look better- it tastes great too! As a result of taking the time to prepare a nice meal in the kitchen, you’ll not only feed your mind and soul, you’ll also feed your hair! 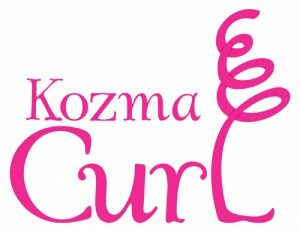 Keep in mind, growing your curly hair is not just about getting the right dry cut, and a home regimen of hydration with conditioners…. it’s also essential to feed your hair from the inside out. The possibilities are endless when creating your bowls. Always start with a green base. These can include leafy greens, spinach, lettuce or kale. Add in your veggies: cucumbers, green beans, broccoli, carrots, tomatoes, or zucchini. Pack in your protein: we like boiled eggs, salmon, beef, chick peas, quinoa and chicken. Make sure to include healthy fats which are incredibly helpful for growing curly hair and scalp health: avocado, seeds, nuts, olive oil, tahini, coconut oil, and our personal favorite- cheese! Cheese should be enjoyed in moderation. Experiment with different cheese types, such as feta or cheddar. Grilled halloumi is a treat! Complex carbohydrates should also be included. These can come from sweet potatoes, peas, corn, or brown rice. For more healthy recipes to grow your hair, check out these delish buddah bowls at the be.beautiful lifestyle blog. Do you have a favorite recipe that you believe nourishes your hair? Please share in the comments below! Thanks for reading our blog, don’t forget to subscribe!